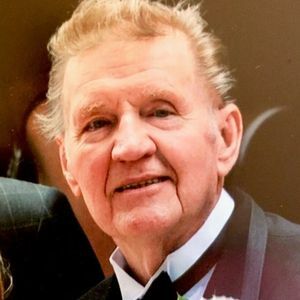 Beloved husband, father, grandfather, great grandfather, friend and long time Bay Village resident Alvin Leonard Wier passed away peacefully on March 20 2019 in his home with wife Rosemary and family by his side. Al, 92 years old, was born in St Louis Missouri February 27, 1927. Al joined the Navy on his 17th birthday. He served aboard the lead ship USS South Dakota Battleship, the most decorated ship during World War II. He was stationed in Tokyo Bay and during the surrender ceremonies Sept 2,1945. Al was awarded 7 medals and 7 battle stars for his service. He had an enthusiastic spirit about his service to his country and to others that was contagious. He shared touching personal stories throughout his life and wrote a book telling this story. Al was an accomplished athlete, squash champion, soccer player and coach. He enjoyed playing and following many sports especially his beloved St Louis Cardinals and St Louis Blues. He met his "sweetheart" Rosemary in Miami Beach and shared an extraordinary life together that continued for 62 years in Bay Village on Lake Erie, raising their four daughters while working at the Plain Dealer publishing company. He fully embraced early retirement and began working on private investing where he could be found at his favorite desk by the window and riding his bicycle daily to church, the post office and the bank. Al is survived by his loving wife Rosemary Macioce. He was a beloved father to Kimberly Rhodes and husband Brian, Laurie Liechty and husband David, Marcy Hoke and husband Jack, Susan Meyer and husband Joseph. He is also survived by his wonderful grandchildren who brought him so much joy and love. Jonathon Hoke and wife Erin, Sarah Hoke, Andrew Rhodes, Isabella Meyer, Jacob Hoke, Joseph Paul Meyer Jr., and Alexander Rhodes. He is also survived by two great grandchildren he adored, Jonathan Hoke Jr., and Mackenzie Hoke. Add your thoughts, prayers or a condolence to Alvin's guestbook.